The Last Inua follows an Inuit father (Ataataq) and his son (Hiko) who has been granted supernatural powers. An ancient evil (Tonrar) has invaded their lands and is trying to take over the world. Ataataq and Hiko must work together in order to find a way to stop Tonrar and save the world. I would consider The Last Inua to be a platformer/puzzle game. For most of the game you jump between platforms and ledges to reach your next destination. Along the way you encounter some simple puzzles that you must complete in order to proceed. The main mechanic in the game is that you control two different characters. Attataq is your typical platformer character. He jumps, climbs walls, and moves blocks. Hiko can barely jump so he relies on his special powers to teleport around the terrain. Hiko also has an orb that follows him that can build light bridges over gaps. The Last Inua was originally designed as an IPad and IPhone game and it is pretty easy to tell based on the simple controls. Essentially you can control the left and right movement of the character, there is a button to switch between the characters, and there is a button that performs each character’s special ability. The special ability button jumps for Attataq and teleports Hiko. The controls for the game were likely made simplistic in order to work with the touch screens of IPad and IPhone. The controls are very simple to use but I had some issues with them. At times they just seemed unresponsive. Most (if not all) of my deaths in the game can be attributed to the controls. In particular the jump button seems to have a significant lag at times. I died several times due to the character not jumping when I pressed the jump button. Attataq also seems to slide a lot. When the character either falls down or jumps down, the character goes into the roll animation which you can’t stop. Most of your deaths will be due to Attataq rolling off the end of a platform. When jumping you need to take this rolling animation into effect in order to avoid rolling off the edge. While the controls are frustrating at times, they generally are only a minor disturbance due to the game’s difficulty. Simply put The Last Inua is one of the easiest games that I have played recently. If you have any experience with platformers, you will breeze through The Last Inua. All of the platforming sections are really easy and your only real issues will be due to the controls. In addition the puzzles are simple and the solutions are straightforward. The collectible are also really easy to find since I found over half of them without really even trying. If the platforming wasn’t easy enough the game helps out players by stopping one of the characters when they need to switch to the other character. When you have reached the furthest point that a character can currently go , they will stop and call out the other characters name. Maybe it is just me but I found this to be kind of annoying after a time. To make the game a little harder the game should have allowed players to move characters whenever they wanted to. This would have gave the game a little trial and error. So the gameplay in The Last Inua is very easy and pretty average overall. The one unique thing going for the Last Inua is the artwork/theme. While the story was underdeveloped/confusing at times, I thought it was interesting. I doubt there has ever been another game made about Inuit culture. While the story could have been written a little better, it does a good job teaching about a culture few people know about. The Last Inua is the type of game that thrives more on its’ story than its’ gameplay. I also thought the artwork was pretty well done. Being a port of an IPad/IPhone game, the graphics are obvious not the greatest in the world but you shouldn’t expect that from a mobile port. The artwork has its’ own unique style which is inspired by its’ theme. I would consider the artwork to be the game’s greatest strength. The Last Inua is far from a long game. It took me less than two hours to complete the game. I didn’t rush through the game but I didn’t waste a lot of time looking for collectible either. If you spend the time to find all of the collectibles I can see the game taking maybe three hours to complete. The game has little to no replay value though so once you have completed the game it is unlikely that you will come back to it. I used to be a big proponent for longer games but recently I have been starting to change my mind. In The Last Inua’s case, I actually think the shorter length helps it. If the game would have been longer it would have really started to drag on. If no new mechanics were added the game would have become repetitive towards the end. I don’t have a problem with the length of the game but I do have a problem with the price. At $8 the game is too expensive for the amount of gameplay you get. If The Last Inua was a fantastic game it may have been worth the cost, but it is just an average game. If you are interested in the game I would either look for a sale or wait for the game to be bundled again. The Last Inua is an average game. The gameplay is okay but it has occasional control issues. The game is very easy so anyone who has any experience with platformers is unlikely to be challenged by the game. Due to its’ simplicity the game is very short. 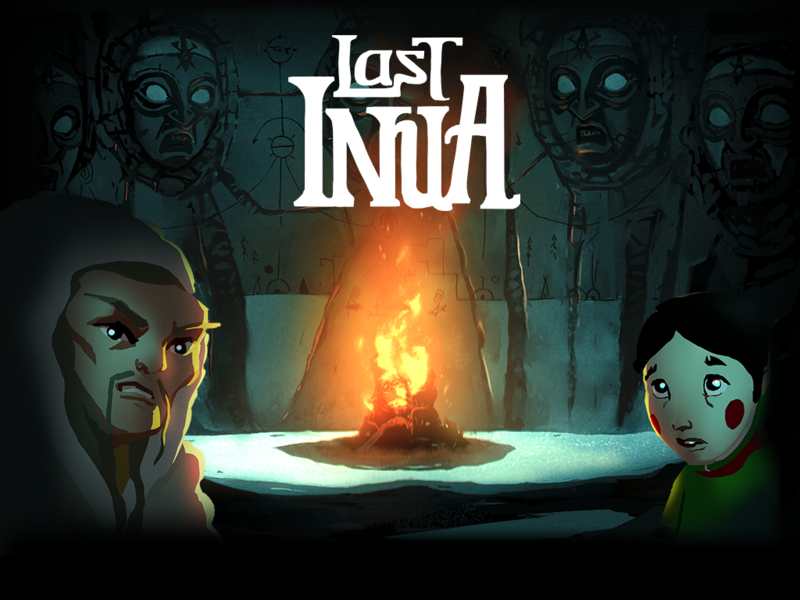 If you want a challenging game or don’t care for story, you should pass on The Last Inua. If story, style and theme are important to you, you may enjoy The Last Inua. I would recommend trying to pick it up on sale though. At times the controls feel unrespsonsive.